Health plans are more aggressively managing medical costs, leaning out administrative inefficiencies, and looking for new customers. Plans are undertaking these strategies as they face uncertainties over the next couple of years leading up to the full implementation of the Affordable Care Act, according to a paper from Boston Consulting Group (BCG), Innovation, Diversification, and a Focus on Fundamentals, looking at how health reform will change the insurance landscape. The absorption of 30 million uninsured Americans into health plans is the top-line priority, as BCG points out that, “the market for health insurance is expected to become much more retail oriented,” particularly for Medicare and Medicaid enrollees. This, coupled with a growing individual insurance market, motivating the health insurance industry to morph into more a consumer-facing and –friendly mode. The motivation for adapting to this retail ethos is an estimated $1.2 trillion worth of health plan revenues, doubling from 2011 to 2019. Profit margins for the industry, though, might fall from 5% to under 3%, according to BCG, due to a premium fee of 1.5% on revenues. In a direct-to-consumer (DTC) world, plans’ ability to pass this fee onto consumers directly could compromise their attractiveness to consumers, who tend to be very price-sensitive when it comes to out-of-pocket spending on all aspects of health care. “Capturing the retail customer” is Job 1 for health plans in the post-ACA marketplace. BCG points out that Blues Plans have strong local brand recognition they could leverage in this milieu. Going retail will also require new distribution channels, and dealing with health insurance exchanges, around which are many uncertainties. The new business models will also focus on cost as King, redesigning operating models both to manage medical costs and lower administrative costs. 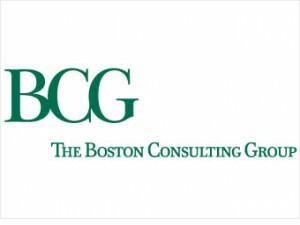 National plans, BCG believes, are the most interested segment of health plans looking to diversify beyond their core insurance businesses. For this study, BCG surveyed 120 health insurance executives in March-April 2011, representing 48 large payers (9 national plans, 21 Blue Cross Blue Shield plans, 9 regionals, and 9 others). These plans represented over 160 million enrollees, or two-thirds of covered lives in the U.S.
Health Populi’s Hot Points: With their recent announcement that Walgreens will sell health insurance, we’ve got a marketplace signal that health care in the U.S. is increasingly morphing toward the retail model. The BCG story shows us that innovative distribution channels for health insurance will be a key success ingredient in the consumer-facing health plan world. Consumers will face choices among local, regional, and national plans with brands they already know — like the Blues plans — and national plans whose names may not be as familiar. These competitors will need to channel their offerings, and messages, to consumers where they live; both in terms of their current personal health ecosystems, and in new ways through pharmacies, grocery stores, employers, community centers, and other neighborhood touchpoints.